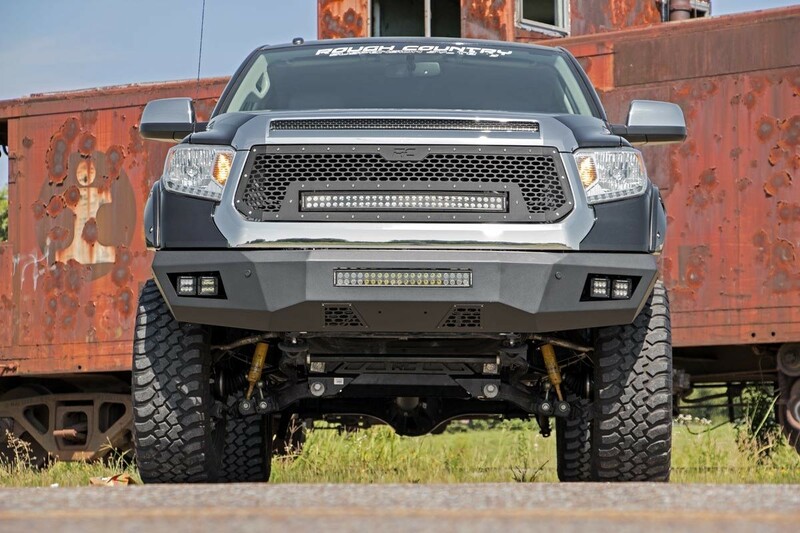 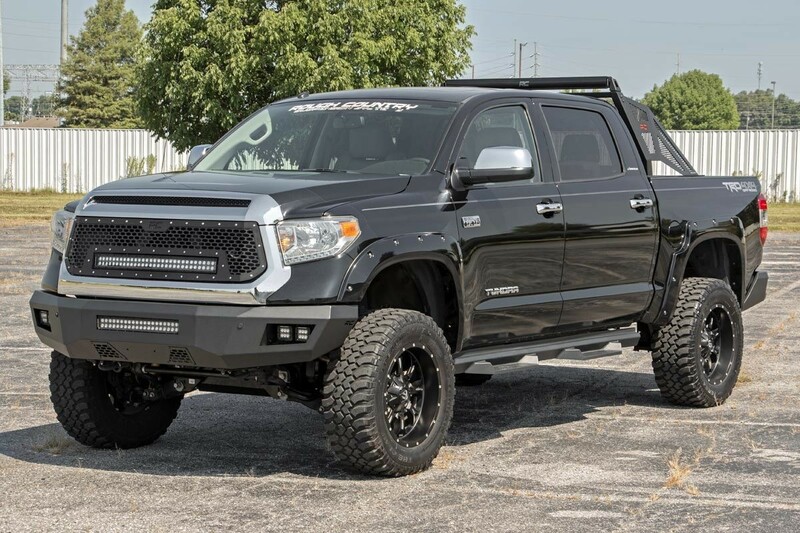 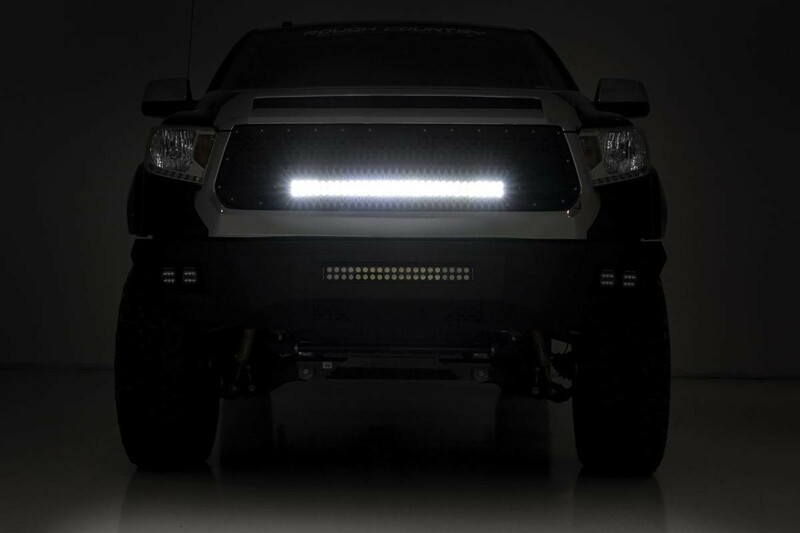 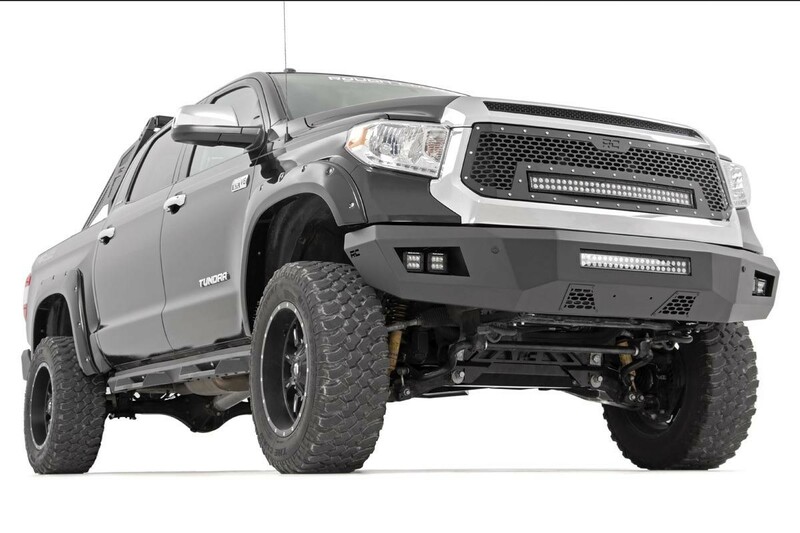 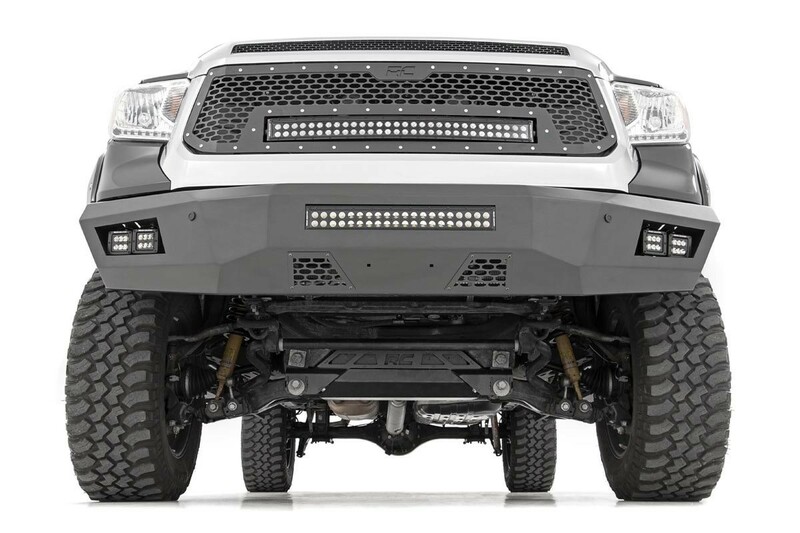 Give the front-end of your Toyota Tundra a unique look with Rough Country’s Mesh Grille kit. 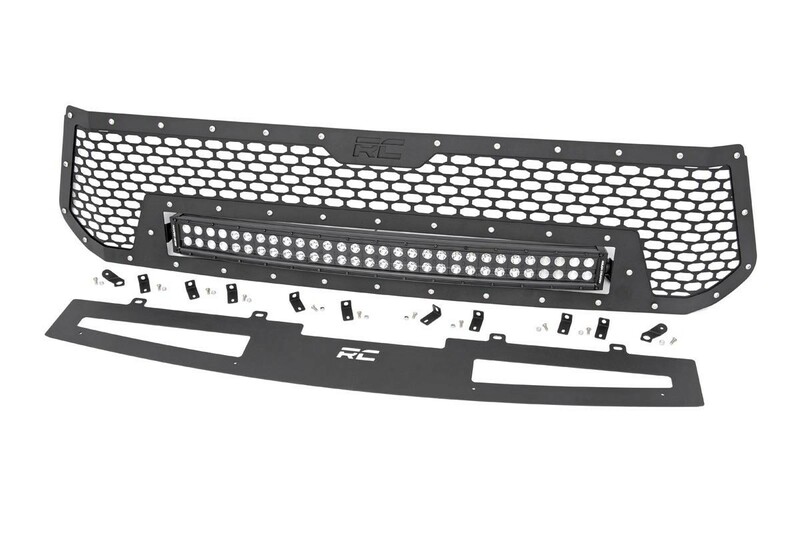 This grille replacement kit swaps out your stock grille with the eye-catching, head-turning good looks of this aftermarket upgrade. 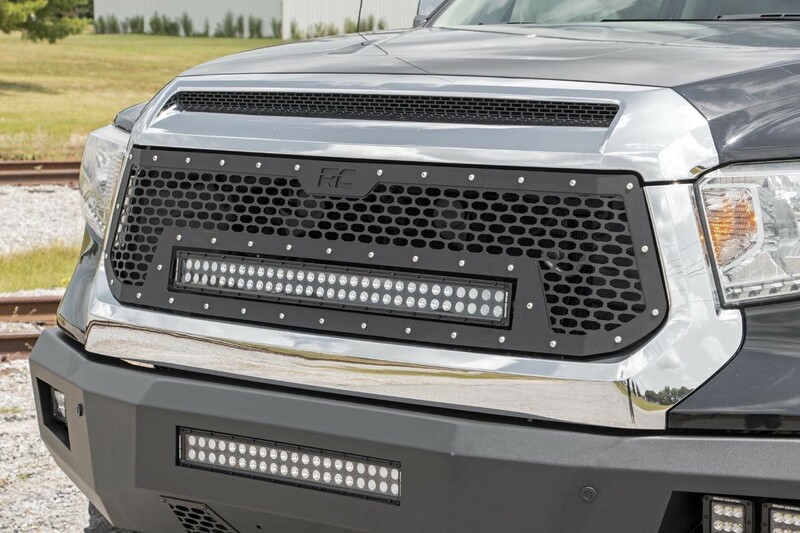 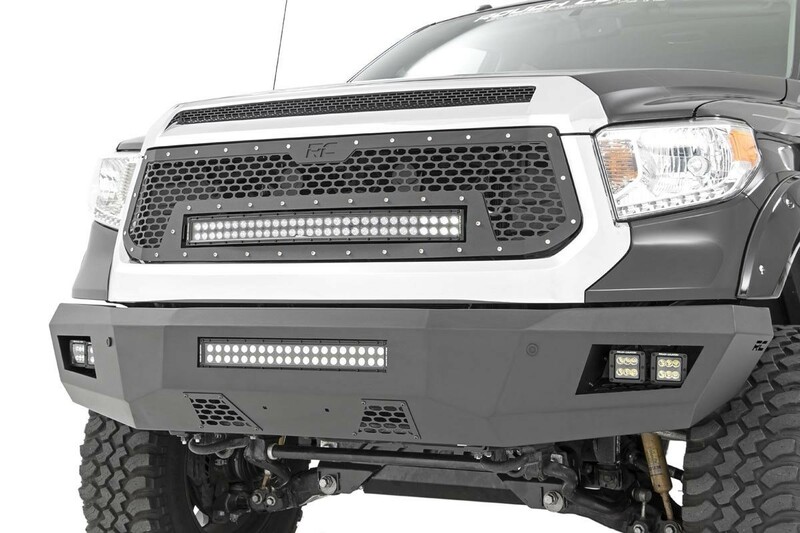 With a unique, laser-cut mesh pattern surrounded by stylish, stainless steel button-head bolts, this grill gives your truck a more menacing look that’s sure to draw attention. 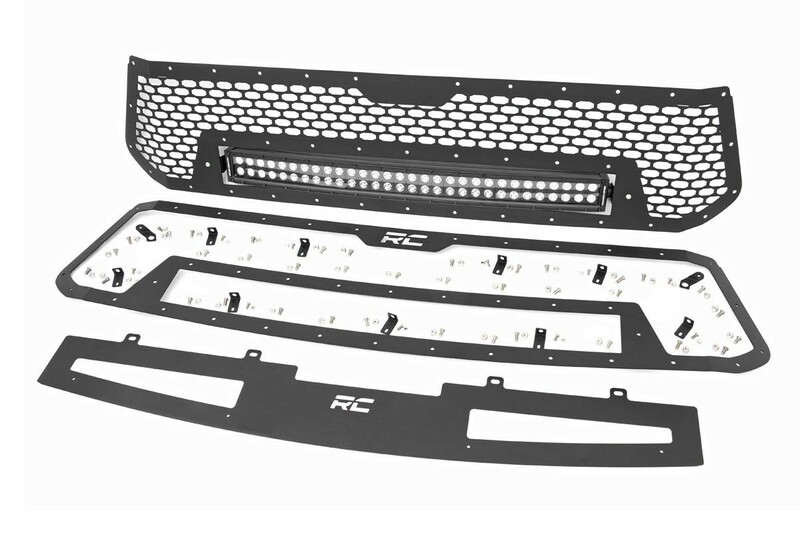 Each kit is powder coated black to resist corrosion and give a long lifespan of good looks.